Pentagonal Stars emblem, union theme symbol created with royal crown and laurel wreath. Heraldic Coat of Arms, vintage vector icon. Military Star emblem, winged victory award symbol created using imperial crown. Heraldic Coat of Arms decorative icon isolated vector illustration. Military Star emblem decorated with royal lily flower and laurel wreath. 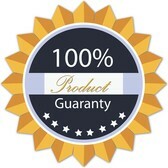 Heraldic vector design element, 5 stars guaranty insignia. Retro style label, heraldry. Ancient pentagonal Star emblem decorated with keys and floral ornament, security theme. Heraldic vector design element, guard symbol. Retro style label, heraldry. Winged ancient Star emblem decorated with imperial crown. Heraldic vector design element, 5 stars award symbol. Retro style label, heraldry. Ancient pentagonal Star emblem decorated with keys and laurel wreath, security theme. Heraldic vector design element, guard symbol. Retro style label, heraldry. Military Star emblem, victory award symbol. Heraldic Coat of Arms decorative icon isolated vector illustration. Military Star emblem, winged victory award symbol created using imperial crown. Heraldic Coat of Arms decorative logo isolated vector illustration. Cross of Christianity Religion emblem. Heraldic Coat of Arms decorative symbol, isolated vector illustration created with royal crown and pentagonal stars. 5 stars emblem, ranking symbol. Heraldic Coat of Arms decorative symbol isolated vector illustration. Military Star emblem. 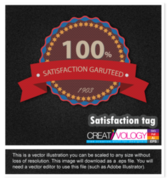 Heraldic vector design element, 5 stars guaranty insignia. Retro style label, heraldry. Winged ancient Star emblem decorated with imperial crown and luxury ribbon. Heraldic vector design element, 5 stars award symbol. Retro style label, heraldry. Ancient Star emblem decorated with imperial crown and laurel wreath. Heraldic vector design element, 5 stars award symbol. Retro style label, heraldry . Pentagonal Stars emblem, union theme symbol. Heraldic Coat of Arms, vintage vector icon. Two years warranty. stamp. sticker. seal.Two year warranty sign. 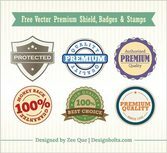 Vintage heraldry design template, vector emblem created with tower and buffalo head. One year warranty icon isolated. Protection safety car. Security service.